Allowing the warrant to move forward, Microsoft argues, "would violate international law and treaties, and reduce the privacy protection of everyone on the planet." Microsoft is fighting a government search warrant seeking customer emails stored abroad in a case that could have far-reaching implications for how tech companies deal with law enforcement. 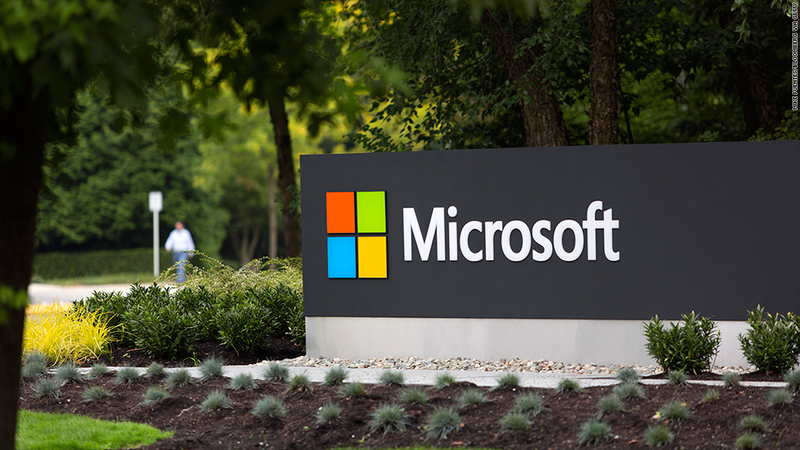 In a court filing made public this week, Microsoft (MSFT) argued that prosecutors had no right to execute the warrant because it seeks information stored at a facility in Dublin, Ireland. The identity of the customer or customers involved isn't clear, though the case relates to alleged drug trafficking and money laundering. Allowing the warrant to move forward, Microsoft argued, "would violate international law and treaties, and reduce the privacy protection of everyone on the planet." Verizon (VZ) has also weighed in, submitting a brief in support of Microsoft's argument. The case raises questions about what role jurisdiction and physical borders play when it comes to digital information. Tech companies like Microsoft and Google (GOOGL) store customer information at data centers all around the world. In the case of Microsoft email users whose data is stored in Ireland, Microsoft says their information "resides on a specific server in the Dublin datacenter" and "does not exist in any form inside the United States." Prosecutors contend that that distinction isn't meaningful in the case of electronic data, which is "readily available" for access by Microsoft employees in the United states. "Imposing the limitations urged by Microsoft would lead to absurd results and several undercut criminal investigations conducted by U.S. law enforcement," Manhattan U.S. Attorney Preet Bharara wrote in a court filing. Big tech companies receive thousands of requests for customer data each year from intelligence agencies as well as traditional law enforcement. Those requests from intelligence agencies been under scrutiny in recent months following leaks from former NSA contractor Edward Snowden revealing vast data grabs encompassing millions of people in the U.S. and foreign countries with no suspected links to terrorism. "Over the course of the past year, Microsoft and other U.S. technology companies have faced growing mistrust and concern about their ability to protect the privacy of personal information located outside the United States," Microsoft said in its filing this week. This case is different, however, as it relates to a narrow criminal investigation in which a judge has already approved a warrant. Companies like Microsoft, Facebook (FB) and Google regularly publish "transparency reports" detailing the amount and nature of the data requests they receive from the government, though they can't provide information on individual cases. Microsoft says it doesn't consider these requests unless law enforcement officials have valid subpoenas, warrants or court orders.